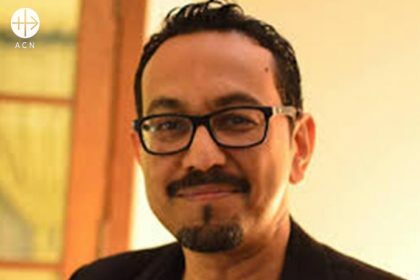 In Pakistan, 224 Christians have been victims of the blasphemy law since the law’s passage in 1986, Cecil Shane Chaudhry, Executive Director of the National Commission for Justice and Peace (NCJP) of Pakistan, told a delegation from Aid to the Church in Need (ACN) during a visit to the Asian country. Although the legal case against Asia Bibi finally came to a positive resolution on January 29th, 23 Christians were killed for blasphemy accusations between 1990 and 2017 and the Commission has documented a further 25 cases of Christians under trial, according to a study presented to ACN. 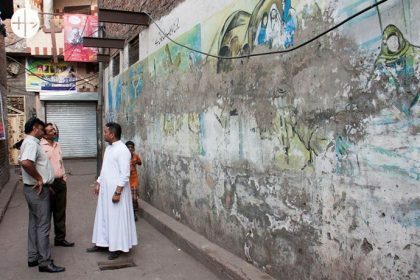 Visit of the St. Joseph’s Colony, located in a Christian-dominated neighborhood of Lahore, where an enraged mob torched dozens of houses following allegations of blasphemy against a Christian man in March 2013. It appeared that the man had been falsely accused of blasphemy. Specifically, there are two paragraphs of Section 295 of the Pakistani Penal Code (paragraphs B and C) that can be understood as the “anti-blasphemy law”. Section 295B stipulates a life sentence for anyone who desecrates the Quran, while insulting the Prophet Muhammed carries the death sentence under Section 295C. 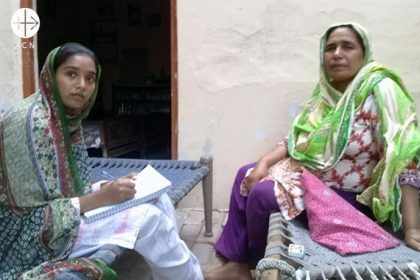 This is exactly what happened in March of 2013 in Joseph Colony, a Christian district in Lahore, after the young Christian Sawan Masih was accused of having insulted Muhammad. “On 9 March, after Friday prayers, a mob of 3000 Muslims burnt down the entire district, destroying almost 300 houses and two churches,” Father Emmanuel Yousaf, NCJP President, explained to the delegation from ACN during a visit to the residential area. The district has in the meantime been rebuilt thanks to funding from the government and returned to the Christians. Cecil Shane Chaudhry, executive director of the National Commission for Justice and Peace (NCJP) of Pakistan. Asia Bibi’s lawyer Saif Ul-Malook spoke to a delegation of ACN in Lahore, Pakistan. “Even though my life might have been destroyed due to Asia Bibi’s case, I do not regret having defended her. I never regretted. I would do it again. I am open for new cases such as this one in the future. If any Christian accused of blasphemy asked me to be his or her lawyer, I would do it without any hesitation”. 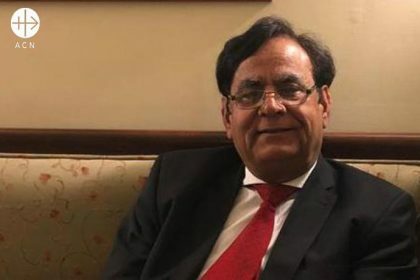 Asia Bibi’s lawyer Saif Ul-Malook. “My father was Gulzar Masih. My mother is Naasra Bibi. I have one brother, Shahryar Gulzar, who is eight. I belong to a Catholic family. My father worked for daily wages, building and painting; he earned 200 Pakistani rupees per day, which equals about $2. But some days he was unable to get work, so we missed the occasional meal. When it came to providing the necessities, my father always faced difficulties, but we were thankful to God for his blessings. “One day, my father became very ill, and my mother took him to the hospital. The doctor diagnosed him with diabetes. We did not have the financial resources to arrange for proper treatment—as a result my father died. “I continued my studies at St. Ann’s Primary School, which is run by the Catholic Church”. Because of the good people God sent to us, I am able to participate in a pre-medical program at a college. I face religious discrimination there, as the school is Muslim, but I know that God is with me. 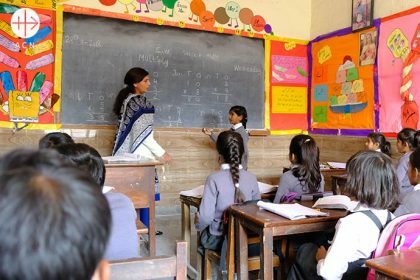 I live in a seriously impoverished area; so in the evenings, I provide 200 children with free tutoring. It is my deep desire to become a doctor and help the poor, so no one dies like my father did. 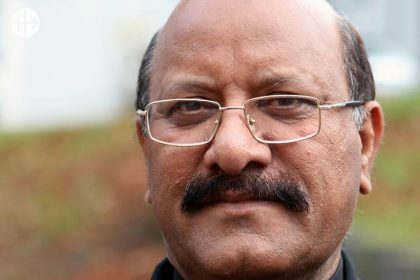 During a visit to the headquarters of the pontifical foundation Aid to the Church in Need (ACN), Father Channan talked about the impact of the blasphemy laws, propitious developments in the Islamic world, and the future prospects of Asia Bibi in an interview with Tobias Lehner. Father James Channan: The situation of the Christians in Pakistan is alarming. They live in fear and uncertainty. This situation has not changed since the 1970s, when legislation in Pakistan began to be based on Islamic Sharia law. Radical Muslims are misusing the controversial blasphemy law in particular to settle personal scores. Anytime Christians are accused of supposed blasphemy, all Christians in the region are indicted with them. This often leads to acts of violence against Christians. Father James Channan, head of the Peace Center located in the city of Lahore in Pakistan. And that is exactly what happened in the case of Asia Bibi. 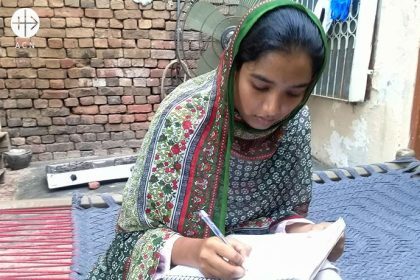 She was on death row for nine years on charges of blasphemy. Even now, after her acquittal, she is anything but safe. Radical Islamists are trying to find her so that they can kill her. That is why she is currently under state protection. We hope that the supreme court will soon confirm her acquittal and refuse to grant permission to appeal. Then she will hopefully be able to leave the country and live in freedom. According to a report of the Catholic Bishops’ Conference of Pakistan, there are 187 other cases of Christians facing charges of blasphemy. One of these is the case of the married couple Shafqat Masih and Shagufta Bibi. I visited them on death row. They have been accused of sending blasphemous text messages, which the couple denies. Their prospects are very bleak. Even should they be acquitted, they and their children will no longer be able to live in Pakistan. Fanatic Muslims will try to kill them. The blasphemy law destroys the lives of those who have been accused, even if they avoid being executed. Catholics make up only a tiny minority of a little over 1% of the total population of Pakistan, which overall is over 96% Muslim. Generally speaking, Christians belong to the lowest levels of society and by most Pakistanis are not even viewed as full and equal citizens. They face abuse, discrimination and even persecution, not infrequently even including violent attacks. Yet despite these difficulties, the Catholic Church in the country is very much alive and active, striving with all the means at its disposal to accompany and support the Catholic faithful and strengthen them in their faith. One important element of this support is the help for married couples and families. For in Pakistan, just as elsewhere in the world, Christian marriage and the family rooted in Christian values face all kind of difficulties and challenges. 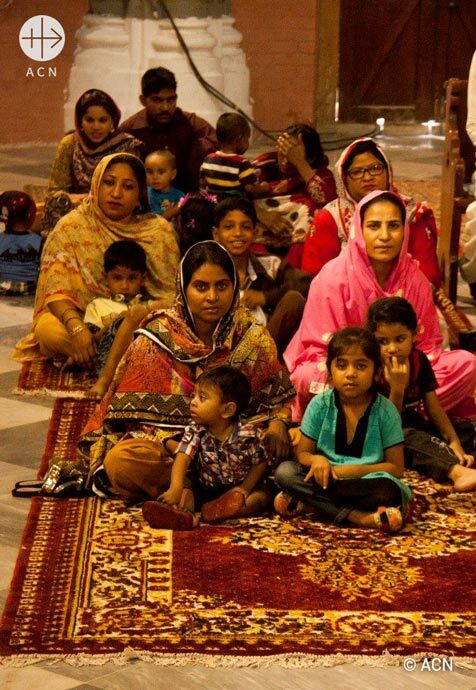 And so the Church in Pakistan has devised a range of programmes to support and accompany young couples preparing for marriage and families with children. The National Committee for Family and Life is responsible for training individuals to work in the dioceses, preparing young couples for the sacrament of matrimony and family life. It also has a range of programmes which not only deal with the spiritual dimension of marriage but also help with practical problems of the kind that face most married couples and families. Questions such as: What does the sacrament of matrimony actually mean? What is the „Theology of the Body“ spoken of by Pope Saint John Paul II? How can a Christian family life be built upon the Sacraments? These are just some of the issues tackled by the programme. At the same time, issues such as natural family planning, conflict resolution, encouraging married couples to talk together and discuss their issues, education in responsible sexuality for young people, focusing on fidelity, love and mutual responsibility are also covered, along with many other topics. 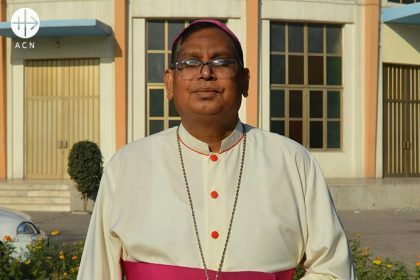 Bishop Samson Shukardin, who is chairman of the National Committee for Family and Life has already run programmes of this kind for marriage and family life successfully in his own diocese of Hyderabad. And he rightly insists, „The welfare of families is decisive for the future of the world and the Church.“ We are helping with a contribution of 7,500 Euros.